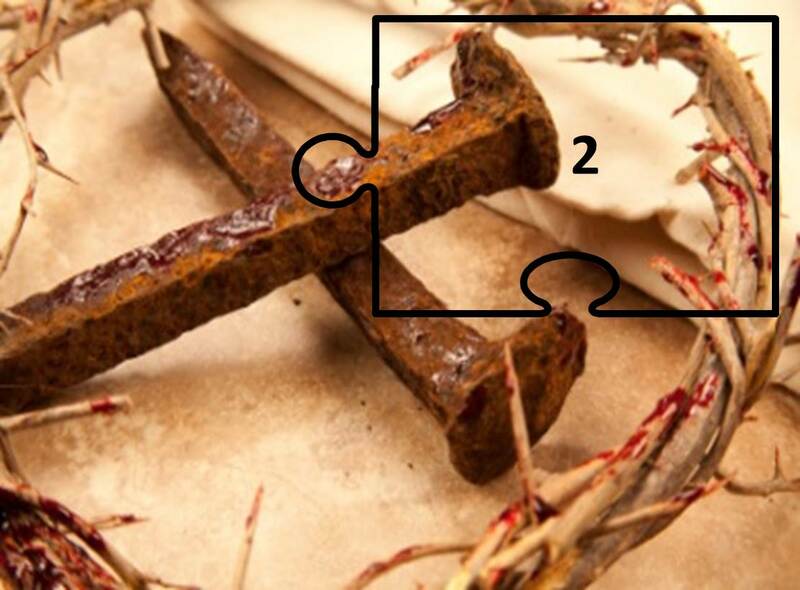 In this second puzzle piece in the case to determine How Did Jesus Really Die?, we will look at how the Jewish and Roman laws in existence at the time of Jesus impacted decisions regarding whether Jesus would be killed, why He would be killed, and how He would be killed. We know that the Apostle Judas Iscariot was paid off by the Temple authorities to betray Jesus into their hands. Then, on the night before Jesus’ execution, Judas guided a detachment of Temple soldiers and some officials from the Chief Priests and Pharisees to a grove in the Garden of Gethsemane on the Mount of Olives. They went to arrest Jesus. To identify Jesus to the authorities, Judas gave Jesus the now infamous kiss. After a small altercation, during which the Apostle Peter severed an ear from the High Priest’s servant, Malchus (which Jesus immediately restored), Jesus was bound and taken away. Jesus first entered the Jewish legal system in the person of Annas, the “father-in-law” (ab bet din) of Caiaphas, the High Priest in AD 30. Jesus was then delivered to Caiaphas. To put this into perspective, the Creator of the Universe now stood before the Jewish High Priest and his minions in their earthly courtroom. Someday, the tables will be turned; and Jesus will stand in judgement of those who once judged him. However, in order to fulfill God’s plan, Jesus was first required to subject himself, as a criminal, to the systems of law which existed at that time in Jerusalem. At this point it may be helpful to provide some background into the Jewish and Roman systems of law in Jerusalem at the time of Jesus’ trial, sentencing, and execution. Some of what I discuss may be familiar to you, but I suspect that much of it will be new – just as it was for me before I began studying it. According to Aiyar Srinivasa in his book, The Legality of the Trial of Jesus (1914), Annas (Ananus), an Alexandrian Sadducee, was originally appointed High Priest in AD 7 by Coponius, the Roman Procurator. Annas held power in the Temple for the next 50 years, and the “House of Annas” exerted influence over all Jewish religious activities during that period. During that time, five of Annas’ sons served as High Priest; and, at the time of Jesus, his “son-in-law,” Caiaphas, was the acting High Priest. They were all part of the Sadducean aristocracy who controlled the Temple. In John 18:13, we learn that Annas was the “father-in-law” of Caiaphas; but little else is known about him. According to Nancy Kuehl in her excellent book, Book of Evidence – The Trial and Execution of Jesus, rather than indicating a familial relationship through marriage, it is possible that “father-in-law” was actually a reference to the title of Annas. Annas, as “father of the court” of law (title of ab bet din), might therefore have been considered the “father-in-law” of Caiaphas. Certainly, there is no mention of Caiaphas being the son-in-law of Annas in the Gospels. Whatever the case, we know without question that Annas and Caiaphas were the Jewish rulers at the time of Jesus and were, consequently, instrumental in his trial and death. Although there is some controversy about this, according to Kuehl, Annas, as the ab bet din, was the more powerful of the two priests, as evidenced by the fact that the Annas family served the priesthood until AD 70. Kinsmen of Annas were present at the trials of Peter and John (Acts 4:5–6), Stephen (Acts 6:15), Paul (Acts 23:2), and James (Josephus, Antiquities, 20.9.1). We must assume, therefore, that Annas was the supreme authority of the criminal court. The High Priest (Caiaphas), who was the President of the Assembly of Sanhedrin, was merely a figurehead who rubber-stamped the decisions of the higher authority. As a whole, the Jewish priesthood and the Sanhedrin were very corrupt, having attained much influence and wealth through control of the Temple bazaars, which sold the various offerings for the Temple sacrifices and controlled the Temple tribute. Jesus aptly described the Temple at that time as a “den of thieves” (Matthew 21:12-13). It is clear that Annas effectively controlled the Sanhedrin; and because of the allied interests of all those affiliated with the family of Annas, he had little difficulty securing a quorum in the Sanhedrin to do his bidding. As Kuehl reports, the Sanhedrin waited for an opportunity to arrest Jesus – which they had arranged in the person of Judas Iscariot – immediately prior to Passover. Under Jewish law, in accordance with Deuteronomy 17:12-13, the execution of someone found to be “leading the nation astray” typically occurred during “the festival” of Passover. After Jesus was arrested, the Temple officials and guards took Him from the Mount of Olives to the Temple in Jerusalem, on the Temple Mount. Jesus then first appeared before Annas. Simon Peter and “another disciple” (the disciple John) followed the entourage there. When the group returned to Jerusalem with Jesus, the Temple was open. According to Dr. Martin, since it was Passover, the gates of the Temple were opened at midnight; and it was acceptable for people to enter the Temple after that time. Annas was readily available in the Temple at about 3:00 in the morning when the guards arrived with Jesus. Why exactly was that? It was because the High Priests were not at their normal residences in western Jerusalem during the festival but, rather, were in their temporary Temple residence, which was referred to as “the house of the High Priest” (Luke 22:54). As reported by Dr. Martin in Secrets of Golgotha, the Mishnah – the earliest part of the Talmud – provides additional information about the “house of the High Priest” at the Temple. It called this “house” the “Counselor’s Chamber,” as the High Priest was the “Counselor,” or President, of the Sanhedrin. The Mishnah also states that the residence was at or near the “Wood Chamber,” located to the west of the “Chamber of Hewn Stone” (Mid. 5:4) and next to the “House of Abtinas,” where the incense for the Temple was prepared. The “house of the High Priest” was in the Upper Chamber of this “Temple House,” on the second story, around and above a courtyard of columns below. The Gospel of Mark states specifically that Jesus was taken into the Upper Chamber of the High Priest’s house, while Peter had to stay below near the vestibule of the “courtyard” (Mark 14:66). This is precisely in agreement with the Mishnah’s description. This High Priest’s courtyard, as mentioned in the Gospels (Matthew 26:58; Mark 14:54; Luke 22:55; John 18:15), was located between the separate, temporary Temple residences of Annas and Caiaphas. This temporary residence was also where the High Priests spent seven days in the Temple compound prior to Passover and other major Feasts. This was necessary in order to avoid being contaminated, to facilitate meditation, and in order to study the Temple procedures related to the upcoming Feast. Therefore, both Annas and Caiaphas were at the Temple during the night that Jesus was brought to them. 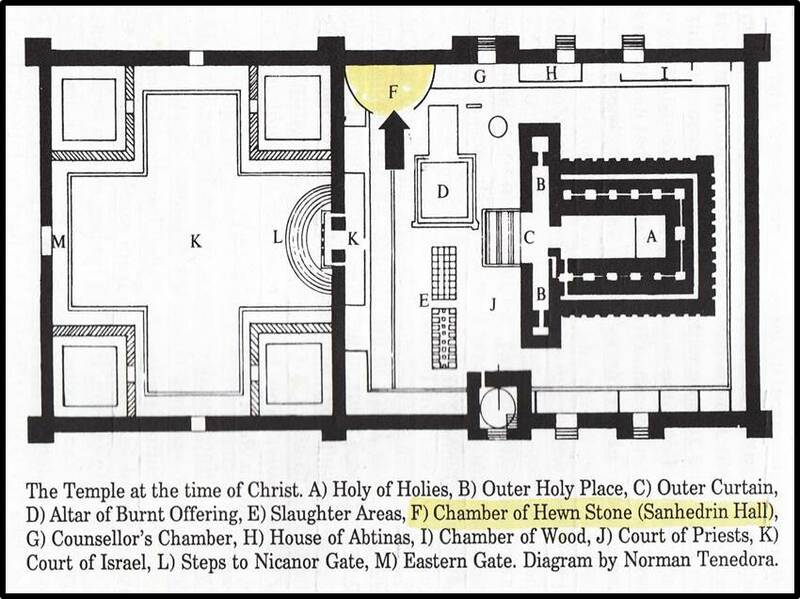 According to Dr. Martin, both the residence of the High Priests and the “Chamber of Hewn Stone” (Lishkat Hagazit) were part of the Temple complex on the true Temple Mount in AD 30 (for a discussion of this topic, please see my Posts in the upcoming series Where Was Herod’s Temple?). This “Chamber of Hewn Stone” was where the Sanhedrin met and where Jesus was tried. The “Chamber” was operational up until Jesus’ death in AD 30, at which time it was completely destroyed by the earthquake which accompanied the death of Jesus (Matthew 27:51-54). When Jesus was brought before Annas, He was questioned “about His disciples and His teaching” (John 18:19 NIV). Now, you would think that Annas would focus his questioning on the details of Jesus’ alleged blasphemy, since that was the stated reason for the warrant – specifically that Jesus was responsible for “leading the nation astray.” Instead, Annas continued to focus his inquiry on who Jesus kept company with and on the message of His teachings. Accordingly, Jesus was accused of “leading the nation astray,” which was the gravest crime and the severest form of blasphemy with which Israel might charge an individual. 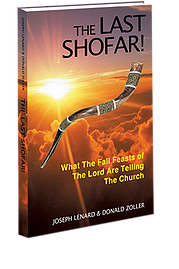 Because of this, Jesus was deemed a mesith – a revolutionary, a sorcerer, and a false prophet. As such, He would be tried in a Jewish court and, as it turned out, pay the ultimate Jewish penalty for his apostasy, which would be by means of a Jewish execution. As we shall see, this execution would be by stoning to death by the community, while being hung on a tree (crucified). More details later in this Post. According to Dr. Martin, the group would have left the house of Caiaphas and walked next door to the building in which the Sanhedrin normally held their official trials and rendered judgments – the “Chamber of Hewn Stone.” Luke makes it clear that this was done “at daybreak,” because the trials and judgments involving capital crimes were required by law to be accomplished within the hours of daylight and within the “Chamber of the Sanhedrin” (the “Chamber of Hewn Stone”). It was essential that Jesus be tried and convicted in a legal manner in order to fulfill Old Testament law and prophecy. Before we move forward to discuss the Sanhedrin, the charges against Jesus, and Jesus’ punishment, let’s first engage in a small exercise which I believe will help to confirm the date of these events. As presented in my various Posts under the topic Jesus’ Death and Resurrection, I concluded that the correct date for the trial and death of Jesus was AD 30. We can now further confirm that date from the fact that parts of Herod’s Temple – including the “Chamber of Hewn Stone,” the place where the Sanhedrin met during the trial of Jesus – were destroyed by the earthquake which occurred immediately following the death of Jesus. Following the earthquake, the “Chamber” was sufficiently damaged so as to render it unfit for meetings of the Sanhedrin. As recorded in various Jewish documents, the Sanhedrin was forced to move to other locations on and off the Temple Mount in the years following AD 30. We can therefore conclude that the death of Jesus and the earthquake must have occurred in AD 30. No date later than AD 30 could have been possible. Although I find much of what Nancy Kuehl wrote in her book regarding the trial and execution of Jesus to be fascinating and truthful, I must disagree with her when she states that the trial of Jesus occurred on the Mount of Olives, in the region called Beth Pagi. Although Beth Pagi was an extension of the ecclesiastical areas of the Temple on the Temple Mount, and criminal cases were routinely adjudicated there, in the public meeting place at the Plaza of Gulgoleth, I believe that in AD 30, at the time of the trial of Jesus, the Sanhedrin was still meeting on the Temple Mount in the “Chamber of Hewn Stone.” It was only later that the Sanhedrin moved from the Temple complex to the ecclesiastical district of Beth Pagi on the Mount of Olives. We learn from Jewish sources that in the year in which Jesus was crucified, the Sanhedrin ceased meeting in the official “Chamber of Hewn Stone.” Apparently, they were “banished” to an insignificant section of the Temple called the “Trading Post,” located a little further to the east. According to Josephus, the meeting place was later moved again, to a gymnasium within the city of Jerusalem, just west of the Temple. Later, after the destruction of Jerusalem and the Temple, the Sanhedrin moved yet again, to a city called Jamnia (Jabneh), located about 30 miles west of Jerusalem. According to Dr. Martin, the Sanhedrin moved a total of ten times following the crucifixion of Jesus, ultimately ending up in Tiberias, near the Sea of Galilee. From this we see that, in His perfect wisdom, God caused the trial of Jesus to be the final adjudication by the Sanhedrin in the “Chamber of Hewn Stone,” within the Temple Mount. This was in AD 30. Blasphemy was the most serious crime under Mosaic Law, punishable by death. And stoning was the only method of execution prescribed for capital crimes in the Old Testament. Pilate ultimately granted the request. The Sadducean method of stoning involved hanging an individual alive on a tree; the congregation would then cast small stones at the individual until death occurred. The Pharisees, as did the Essenes, found this method abhorrent; they hanged individuals on the tree only after they had first been stoned to death, and they used a single heavy stone dropped from a significant height to cause the death. The Pharisees gained power after AD 70, after the Sadducean priesthood had been deposed following the destruction of Jerusalem. From that time onward, the Pharisaic method of stoning was used. It was no coincidence that the Sadducean priesthood was in power at the time of Jesus. This was orchestrated by God to ensure that the cause of death fulfilled the prophecies of the Old Testament. These prophecies include Psalm 22:16–18 (pierced His hands; seeing His bones), Psalm 34:20 (no bones broken), and Isaiah 52–53 (“Suffering Servant” – more on this in my next Post). While the original Mosaic Law specified that the convicted should first be stoned to death and then hung on a tree until near sunset, we find that Jesus was nailed to a tree first; then the people were compelled to stone him. Apparently, this “reverse process” was practiced in Jerusalem in the first century. One of the Dead Sea Scrolls, The Temple Scroll, verified that the Jewish authorities in the first century had re-evaluated the wording of Deuteronomy 21:21–23 and considered that it should be interpreted in the reverse order. With this new interpretation, hanging would take place before stoning, as long as the combined process resulted in death before sunset. If a person was not yet dead at sunset, soldiers would break the legs of the person so that he would be unable to push himself up to exhale, thereby hastening death by process of suffocation. This is what happened to the two thieves crucified with Jesus. As recorded in the Bible, Jesus was already dead (from the stoning, as we now know). Neither of the thieves received sentences similar to Jesus, and neither was stoned. It should be obvious now that because Pilate handed Jesus over to the Jewish authorities to be executed according to Jewish law, Jesus did not carry a Roman cross, nor was he hung on that Roman cross, despite what church tradition would have us believe. Once Jesus arrived at the execution site, His wrists were nailed to a gibbet (yoke – like a yoke of an ox; Latin patibulum), which was then hung on a living tree. The yoke would have been attached either by ropes or by nails to the tree. 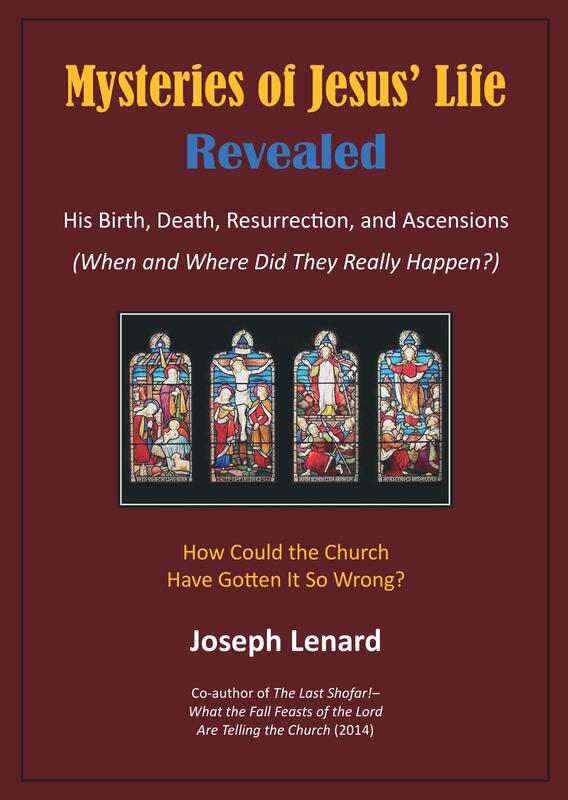 All of the evidence for these things is presented by Kuehl in her well-researched book, A Book of Evidence–The Trials and Execution of Jesus (2013), as well as by Dr. Martin in his book, Secrets of Golgotha (Second Edition, 1996). We can now look at the trial of Jesus under the Roman system of law, after Jesus was taken by the Sanhedrin to Pilate, at the Roman praetorium. Following the appearances of Jesus before Annas and Caiaphas and the Sanhedrin, Jesus was taken from the Temple to the praetorium to meet with Pontius Pilate. Jesus then fell under Roman law. Under the authority of the Roman Senate, King Herod the Great reigned in Judea from 37 BC until his death, in 1 BC. Herod possessed exclusive rights to the trying of legal cases and to governing in general, while the Sanhedrin’s authority was limited exclusively to religious issues. At Herod the Great’s death, the Sanhedrin sent a delegation to Rome requesting complete autonomy under the rule of one of Herod’s sons. Rome agreed to joint rule over Judea, with a Roman prefect, (“governor”) and a son of Herod ruling the country. Rome had little interest in the internal affairs of the Jewish nation, as long as order was kept and taxes were paid. Roman administration over Judea effectively began in AD 6 with the appointment of Coponius, the first Roman “governor” with the title of “prefect” in Judea. Following the death of his father, Herod Antipater (Herod Antipas), reigned as tetrarch (“king”) of Galilee and Perea. The prefect in Judea was expected to respect Jewish religious law and customs and offer little interference. His power was overshadowed by the Roman governor in Syria. Pontius Pilate – before whom Jesus appeared – was appointed prefect in Judea in AD 26, largely through the influence of Sejanus (Aelius Seianus), the all-powerful minister in the Roman Emperor Tiberius’ court. Pilate served as prefect until AD 36 – six years after Jesus’ death. Pilate was specifically sent to Judea to end self-rule among the Jews. He was in the awkward – and unenviable – position of having to juggle favors among Tiberius, Sejanus, the Syrian governor, Antipas, and the Sanhedrin. As reported by Kuehl, such was the political situation in Judea in AD 30, the year of Jesus’ trial and execution. By this we see that Pilate’s statement was in accordance with Emperor Tiberius’ wishes for the governing of Judea – that the Jews be allowed to handle their religious affairs themselves. The Jewish rulers replied to Pilate, “But we have no right to execute anyone” (John 18:31b, NIV). We find, however, that this was not necessarily true, as they seemingly did not receive Pilate’s approval when they later executed Stephen by dragging him from the Sanhedrin and stoning him to death (Acts 7:58). In the case of Jesus, it is clear that the Jewish authorities were attempting to place the burden of the execution on Pilate. It was not Pilate’s intention to crucify Jesus, but to release Him. However, “for good measure,” Pilate took Jesus and had him flogged. His plan was to have him flogged, and then release Him. I believe the church tradition that Pilate had Jesus flogged to the point of near-death is an exaggeration. Pilate was sympathetic to Jesus and did not want to kill Him; he wanted to release Him. Church tradition has relied on this Roman flogging to account for the excessive blood loss needed to fulfill prophecy, because the church either has not understood or has ignored the fact that that Jesus was stoned to death while hanging on a tree. The stoning would have resulted in a large amount of blood loss, thus fulfilling prophecy. We will discuss this in more detail in the next Post, Suffering Servant. Following the flogging, Pilate said again to the Jewish officials, “I find no basis for a charge against Him” (John 19:4b, NIV). The Jewish officials then shouted, “Crucify! Crucify!” (John 19:6), to which Pilate responded, “You take him and crucify him. As for me, I find no basis for a charge against him” (John 19:6b, NIV). Pilate made one last attempt to set Jesus free (John 19:12), but the Jewish officials played the “Caesar card” by shouting “If you let this man go, you are no friend of Caesar. Anyone who claims to be a king opposes Caesar” (John 19:12b, NIV). Make no mistake. Jesus was handed over to the Jewish Temple authorities to be crucified according to Jewish law, because Pilate could find no reason to punish Him under Roman law. The militia to whom Jesus was returned were both Roman soldiers and Jewish Temple guards; and both were involved in the crucifixion, according to the Gospel accounts. Although we are outraged at the apparent randomness of the charges against Jesus and shudder at the cruelties committed against Him, everything was done in strict accordance with Jewish and Roman law and, especially, in accordance with Mosaic law and in fulfillment of the prophecies of the Old Testament. As was the case with Jesus, Roman prefects like Pilate often allowed Jewish officials to administer punishment according to Jewish religious law and custom. I hope that these explanations have given you a fuller understanding of Jewish and Roman laws and their role in the fulfillment of prophecy. As for Jesus, following His resurrection, He met two of His disciples on the road to Emmaus. “And beginning with Moses and all the Prophets, He [Jesus] explained to them what was said in all the Scriptures concerning Himself” (Luke 24:27). Note: Presumably, part of the Scripture which Jesus explained to the disciples concerned the prophecy of the “Suffering Servant.” In my next Post I will discuss the importance of this Scripture, which Jesus fulfilled.